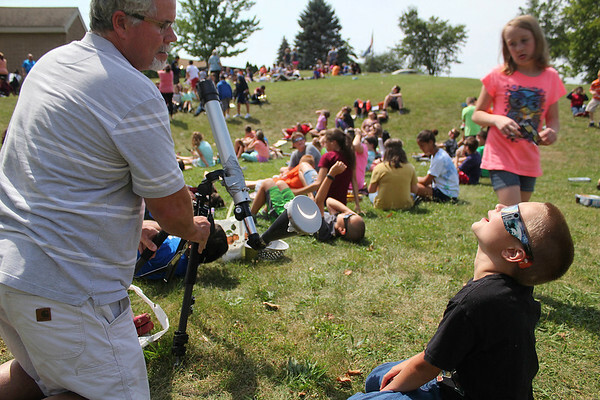 Jaybin Miller, a fifth-grader at Concord Intermediate School, looks at Monday's solar eclipse above him while John Cassady holds a telescope that is projecting an image of the eclipse on a makeshift screen in front of Miller. Cassady was helping with the science project. His wife Wendy is a scence teacher at the school.